When wireless keyboards were introduced, the news was received with great excitement only to be met with the challenge of battery replacements and charging . 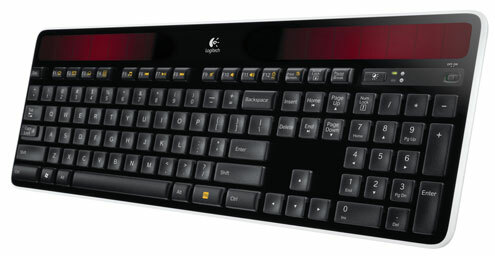 The first time i used a wireless keyboard was last year when i got a Logitech MK520 from a friend, perfect for simple office work but not for gaming and serious typing, i just realized how poor it was when i fired the NFS pro street on my desktop for a couple of days and it started asking for more juice. The only advantage with all the wireless keyboards is that you are not restricted to a certain position that make it uncomfortable to work for long. Talking of less power hustles, the keyboard also comes with a downloadable solar power app which features a lux meter that give information about battery level, ambient light and alerts you when you need more power. Comfortability is also a key feature in this stylish keyboard, the keys are so responsive to touch, quiet and feel just awesome.whats more is that the keys are customizable, with a simple app installed you can choose what you want the buttons to do for you.